Shops are open weekdays from 9:00 to 6:00 p.m.
Banks in Brazil are usually open weekdays from 10:00 to 16:30 and do not be surprised if some banks close earlier on Fridays. Brazilians are very patient and you have to wait a lot. 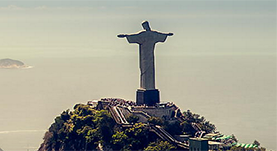 Brazilians widespread use credit cards like American Express, MasterCard (including Eurocard), Diners Club and Visa. You will find ATM machines in all larger cities and in Rio de Janeiro you find them all over. You wont have any troubles using them with ATM cards from the EU or the US. It has been reported about European banks that block the cards when you start using it in Brazil so a good idea might be to check with your bank before you leave for Brazil. It could mean big problems to be without access to your bank card. 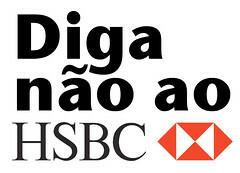 Banco 24 Hors, Banco de Brazil, Bradesco and HSBC all are very effective. Cash withdrawals with traditional credit card usually goes to the ATM labeled “24-hras”. Banco 24 Horas sometimes charge high fees their rate is about 10 % greater than the interbank rate. Banco do Brazil is perhaps the most reasonable usually charging at the interbank rate itself.